OPSC General Science Question Paper Answer Model Papers. 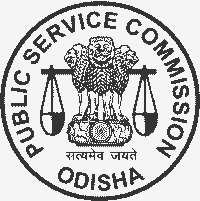 Free download pdf Orissa Public Service Commission (OPSC) exam 2019 Preliminary Question Paper and Main Question Paper OPSC General Science Model | Sample | Mock Test Question Paper for 2019 Exam, This OPSC General Science Question are based on the syllabus but here some of the question may out of syllabus, just for your better exam preparation. This OPSC General Science Paper will help all the students for their preparation, here the question type is MCQ i.e multiple choice question answers, if this OPSC General Science question paper in pdf file format you can download it in FREE, if OPSC paper in text format you can download OPSC page also just Go to menu bar, Click on File->then Save. If you need more OPSC Sample | Model Paper for 2019 or OPSC Mock Test Paper with or with out solutions for 2019 exam, you can request us just post a comment (Check end of this page), For better preparation you can also check OPSC reference books.